"Serving Arkansas with Dignity and Respect"
Glenn A. McNeal, 58 of Perryville, Arkansas passed from this life on Sunday, February 3, 2019. He was born on November 13, 1960 in Independence, Missouri to George and Mary Frances McNeal. Glenn was a jack of all trades; loved to ride horses with his granddaughter and using his green thumb to grow anything. He also enjoyed working on or fixing anything especially junk and making dozer tracks. He leaves behind his children Heath McNeal and Stephanie Hawks; father George McNeal (Linda); granddaughter Haley Chaney; siblings Gerald and Ronald McNeal (Debbie) and a host of other family and friends. Glenn is preceded in death by his mother Mary Talley and his sister Janette Campbell. Cremation arrangements have been entrusted to A Natural State Funeral Service, 2620 West Main Street, Jacksonville, Arkansas, 72076. 501-982-3400. Your circle of life has now been complete my dear friend. The world has lost a kind, generous soul and is more drab and dreary with your passing. You will always live in my heart. And thank you for the kindness and showing me a better path through life. May peace be upon you. We will miss that smile you have. I’m so sorry for your loss. Prayers for comfort and peace. May you Rest In Peace Glenn. My heart is sad, but jesus has gained a beautiful soul. Glen was one of the sweetest, kindest souls I have ever met, till we meet again❤️ May God give each of you comfort as only he can in the loss of a loved one. I am so sorry to read of your loss. How I long and look forward to the fulfillment of God’s promise of the time when death will no longer exist. Revelation 21:4 is so comforting, for it tells us – “And he will wipe out every tear from their eyes, and death will be no more, neither will mourning nor outcry nor pain be anymore. The former things have passed away.” I hope it comforts you as well. Our condolences to cousins in Arkansas, even though we hardly seen each other, our pain for your loss is felt from here in Alaska. Thought and prayers will be with all of you. So sorry. Prayers for the family. So sorry for yalls loss glen was pleasant guy to be aroud I’m glad I got to meet and hunt with him much love and prayers sent yalls way. Gone to soon yet never will be forgotten!! My big sister passed away 2 weeks ago. A Natural State staff are professional, helpful, knowledgeable, and mostly compassionate and kind. I am forever grateful to them. Knowing Sherri’s wishes were met with such understanding gave my heart peace. Thank you! We really appreciate everything A Natural State Funeral Service did for us. They made changes on the spot, worked with us, went out of their way to make things easier on us and made the process as smooth as possible. They were very accommodating to us. They are very family oriented and the most friendly people. We could pick up the phone and call them anytime we needed something. Amazing staff and overall the best Funeral Home we have been to. Thank you to everyone who helped us during this difficult time. We chose A Natural State Funeral Service to handle our mother’s arrangements. We were not disappointed. They were kind and helpful every step of the way. And when we lamented the fact we couldn’t get my mother a purple casket , they had the vault painted purple for her . Thanks to everyone at A Natural State . 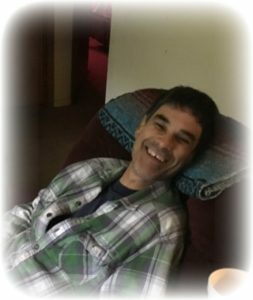 My fathers funeral was just a few days ago and “A Natural State” was wonderful. My family appreciates everything that was done in our behalf. It even included transportation for the funeral and burial to an out-of-state location and the service was flawless. "Thank you so much for all you did for our family during this very difficult time. You we so helpful to us. We really appreciate your thoughtfulness and compassion." I really appreciate everything that you did for us. I know Mr. Davis would have been pleased with the dignity that was shown him. Thank you! Thank you! Thank you! We want to personally thank you for your kindness, professionalism, attention to detail and customer service during this difficult time for our family. Our Pop/Dad was treated with respect and laid to rest in a way that exceeded our expectations. It means so much to our family and we will continue to uplift each of you in our prayers. May you all be blessed more abundantly. Such professional and compassionate people. Matt was so wonderful to work with, and I would highly recommend this funeral home without reservation to anyone. They were truly a God-send to us after the sudden death of a relative. Our professional and caring staff is dedicated to working with your family to provide assistance in selecting high quality and affordable funeral services during your time of grief.